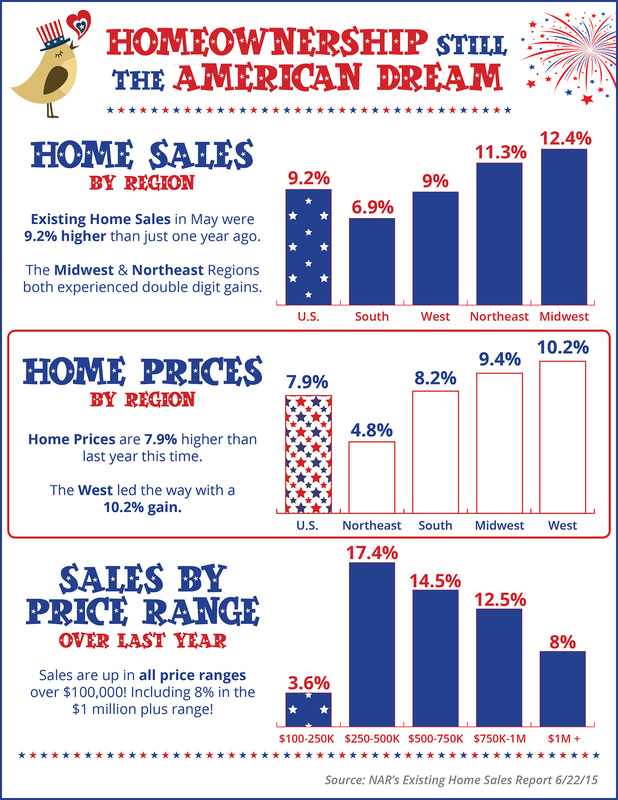 Existing Home Sales are 9.2% higher than just one year ago. Home Prices are 7.9% higher than last year this time. The $250-500K price range leads the way with the largest improvement from last year at 17.4%.